Nevada’s medical marijuana program has come a long way through the years. From the days of total prohibition to convenient online access with NuggMD today, we’ve seen a lot of changes. The Nevada Medical Marijuana Cardholders/Caregivers Program has been around since Ballot Question 9 legalized medicinal marijuana back in 2000. 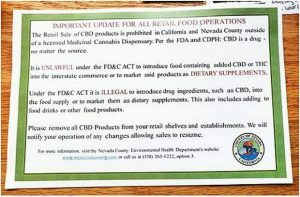 However, the program didn’t become fully functional until 2015 when Silver State Relief opened as Nevada’s first commercial cannabis establishment. That’s right; it took 15 years after Ballot Question 2’s passage for the cannabis floodgates to open. Now patients with medical conditions deemed appropriate can obtain MMJ, along with extra legal protections, to help improve their lives. Ballot Question 2’s positive public opinion has also allowed the Nevada Medical Marijuana Cardholders/Caregivers Program to make improvements. The biggest? The entire application process has been moved online and NuggMD, the most trusted name in telemedicine evaluations, is now available in Nevada to help you become a patient! Higher purchase and possession limits. Medical cannabis patients can have up to 2.5 oz of marijuana every 2 weeks while recreational users are limited to 1 oz (or 3.5g of concentrates). Freedom from the 10% retail excise tax. As a medical patient you’ll pay less for marijuana than recreational users. Potential exemption from the 25-mile growing rule. 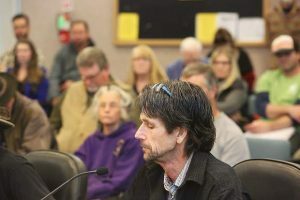 Nevada doesn’t allow recreational users to cultivate cannabis if they live within 25 miles of a commercial cannabis activity, but medical users can qualify for certain exemptions. Approval to use cannabis under 21 years old for medicinal purposes. Reciprocity for out-of-state MMJ patients with a valid cannabis card and government-issued ID. Get evaluated by a medical doctor or doctor of osteopathy to discover if you qualify. The most convenient way to do so is seeing one of NuggMD’s certified docs online, in real time, for a mere $79 1-year Certified Nevada Medical Marijuana Card or one lasting 2-years for just $99. 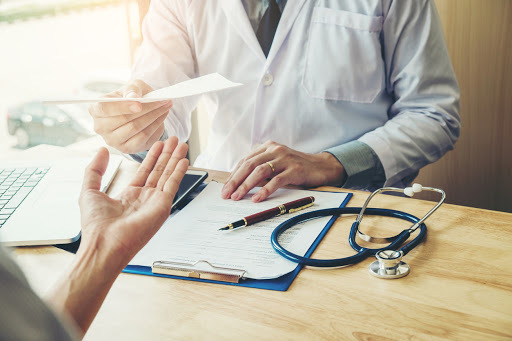 Their California-based telemedicine service has connected hundreds of thousands of patients nationwide to registered medical doctors via video-conference. No traffic, lines or awkward frustration here! Once approved (no charge if you’re not), NuggMD’s team of cannabis concierges can review your application before sending to the state and address any last minute questions or issues. Be sure to include copies of your state I.D. and relevant medical records. Forget something? Nugg will remind you! Nevada charges a non-refundable $50 one-year or $100 two-year application processing and registration fee. Unfortunately, there are no waivers or discounts. The most common reason for rejected applications is lack of information. As mentioned, the best way to avoid an inaccurate application is having one of Nugg’s cannabis concierge’s double-check it beforehand. These trained experts know exactly what’s required and will ensure yours is correct. Other reasons for not qualifying include possessing a commercial driver’s license (sorry, truck and bus drivers aren’t eligible) and serious criminal convictions (in most cases, simple drug possession charges aren’t a problem). If you have questions about past convictions call the Registry at (775) 687-7594 before applying. 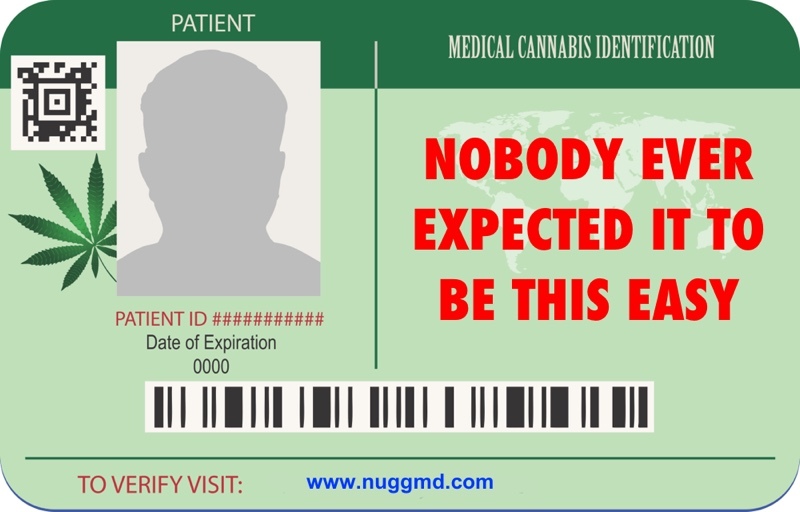 Take advantage of NuggMD in Nevada and learn how simple applying for a Registry I.D. Card can be! If you would like to join the NuggMD family of licensed medical practitioners, please contact them at providers@nuggmd.com to find out more today.